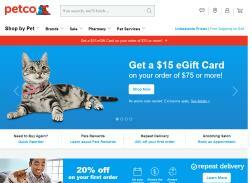 Petco is a pet supplies retail chain offering pet care and grooming supplies. Petco has over 1,000 outlets in the U.S and stocks various items such as pet food, toys and pet maintenance products. Reviews suggest customers are delighted by their quality of service and free shipping offer. Get Free Shipping on Quick Tag ID Tags. Get Up to 20% Off Calming Aids for Cats & Dogs. Shop 2018 Petco Holiday Gift Guide! Get up to 35% off Select Refined Feline Cat Furniture. Get $25 off your first pet sitter or dog walker with Rover! Petco has partnered with Rover to connect you with the nation’s largest network of pet sitters and dog walkers. Get up to 20% Off Cat Food + Free shipping with repeat delivery. Valid on Select Styles. No promotion code necessary. Get Free Standard Shipping orders $49 or more. 20% off First Repeat Delivery Order, 5% off Future Orders PLUS ALWAYS FREE SHIPPING. Maximum discount amount is $20. 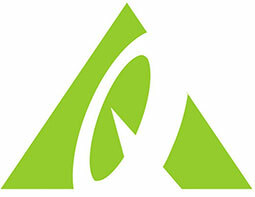 Get Free Shipping on Aquatic Life orders of $175 or more. Offer valid only on live fish, corals, invertebrates and plants.